Casinos have been seeing a decrease in slots revenue, and it could be in part their own fault by making the machines tighter. The industry term of “tighter” simply refers to the hold percentages, which reflect how much of a player’s money the games keep. This hold percent has been increasing and is now at an all-time high. 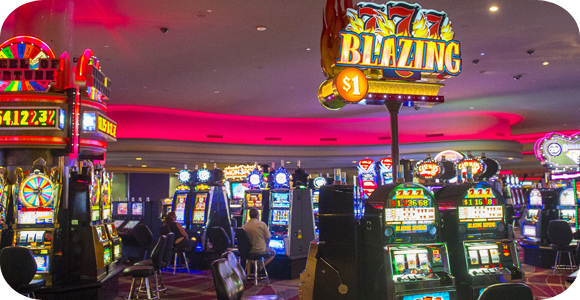 The Association of Gaming Equipment Manufacturers recently released a report conducted by Las Vegas-based Applied Analysis in order to study the nation’s slot industry. The main reason that casinos are making their games tighter is due to the recession, as there are not as many people playing as before. However, this has created a conundrum, as Applied Analysis points out that patrons are less likely to continue playing or even play at all if they know that the games are tighter and won’t pay out as often. That quote pretty much sums it all up. Despite being able to retain more of each person’s wager, in total they make less money due to less people playing thanks to the increased hold percentage. The report also found that the amount gamblers wagered and the revenue casinos earned from slots declined by double-digit percentages between 2007 and 2014. At the same time, slot hold percentage increased 6.2 percent. The strategy to the increase is that players will lose money faster and spend less time gambling, but what we have come to understand about slot machines is that the longer a person plays, the more likely they are to lose more money, not the other way around. Let’s see if casinos that increased their hold percentage will look at the report and see that their own strategy is hurting their bottom line, and make the appropriate changes before it is too late.